“The Fencer” is now showing at Palace Cinemas Australia wide. Set in Estonia, the film is in Estonian with English subtitles. 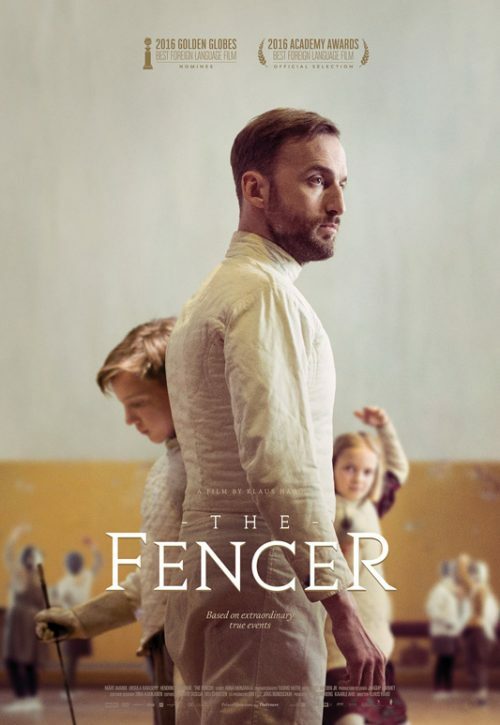 Hailed by audiences at festivals worldwide, Klaus Härö’s elegantly crafted, multi award-winning drama is set in post-war Europe, and movingly depicts the true story of fencing master Endel Nelis, who risked his life to give a group of children something to believe in. It’s 1953, and Endel (Märt Avandi) is on the run. With his war-time affiliations catching up with him, he eludes the secret police in Leningrad and flees to a remote village. There he tries to keep a low profile by taking a menial job in the sports department at the local school, but his efforts to give the students a proper physical education are quickly frustrated by a lack of resources. But once Endel – a skilled fencer – locates a few foils in the gym, he starts an after-school club for the kids, who for their part are eager to learn. Yet the strong rapport he builds with his young students only raises the ire of the party-loyalist school principal, who’s already suspicious of his past. Soon it’s impossible for Endel to avoid attention. Bearing similar themes and emotional impact to Philippe Falardeau’s Monsieur Lazhar, this beautifully acted and stunningly-shot film is a deeply affecting and memorable story of compassion, sacrifice and bravery against the odds.